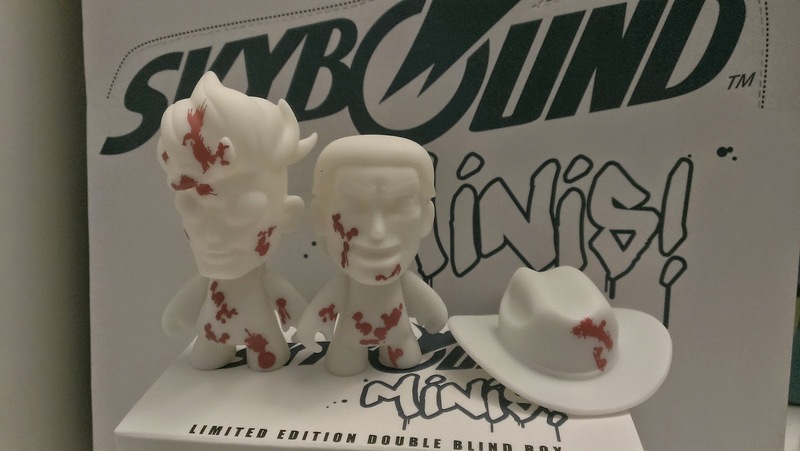 San Diego Comic Con 2014 and Skybound would introduce the world to their new toy line of blind box figures, which included The Walking Dead Rick Grimes and Invincible "Mark Grayson". 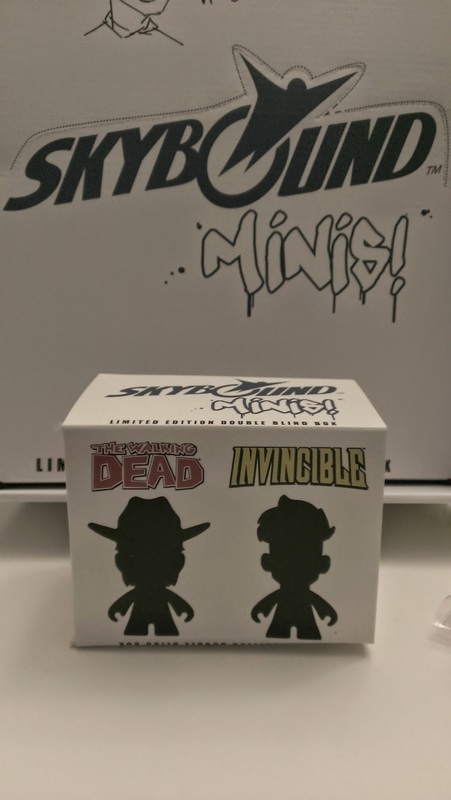 Each box included a Rick Grimes and Invincible vinyl figure. Because they were blind boxed, there would be different variations included in each box, with some very rare chase figures possibilities. 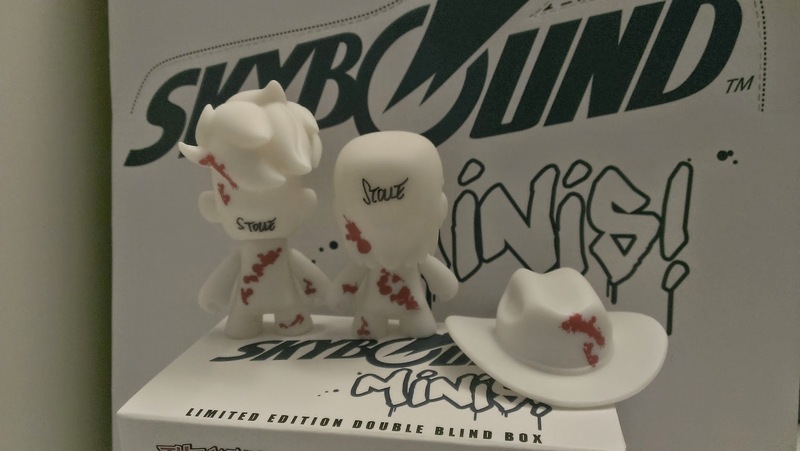 The packaging for the SDCC Skybound Minis premiere was very simple with the Skybound logo along with the Minis logo. 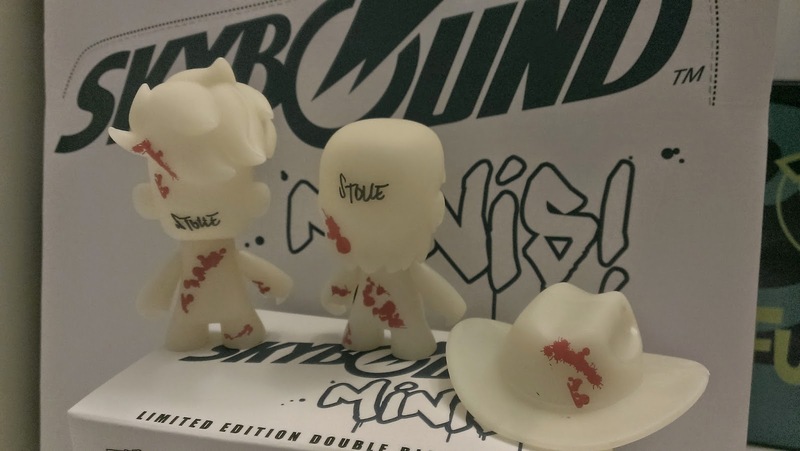 As mentioned, the exclusive blind box would include two figures. 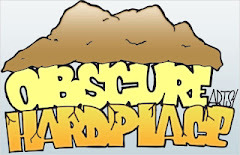 The sketch above was created by the designer of the figures, Mr. Scott Tolleson. Each case would include ten individual blind boxes inside. 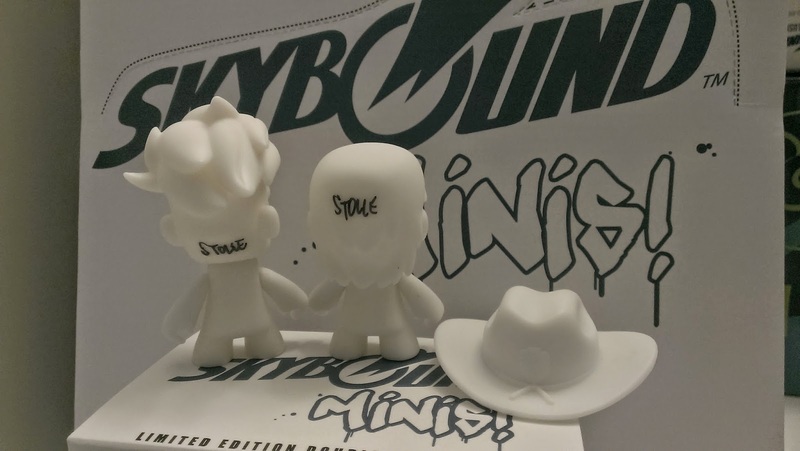 Here is the packaging of the premiere and reveal for the Skybound Minis vinyl figures, which includes both The Walking Dead Rick Grimes and Invincible. The box would list the odds of possibilities individuals would receive inside their boxes. 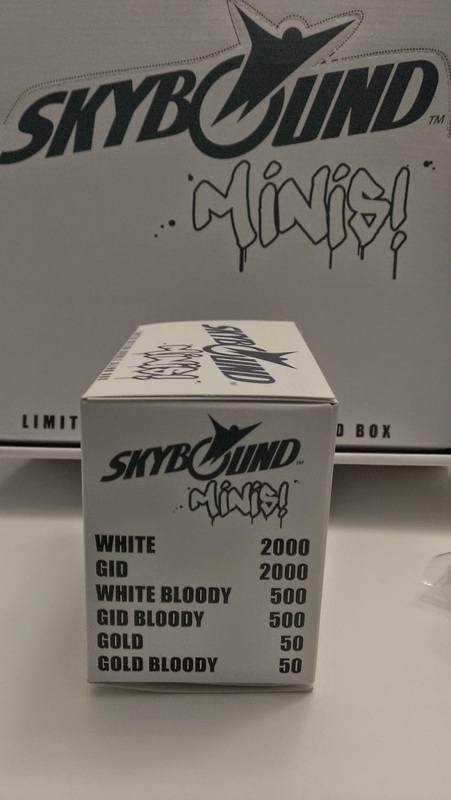 The back of the box features the Skybound logo and stating it was an exclusive. The back would also feature the figures being designed by Scott Tolleson. 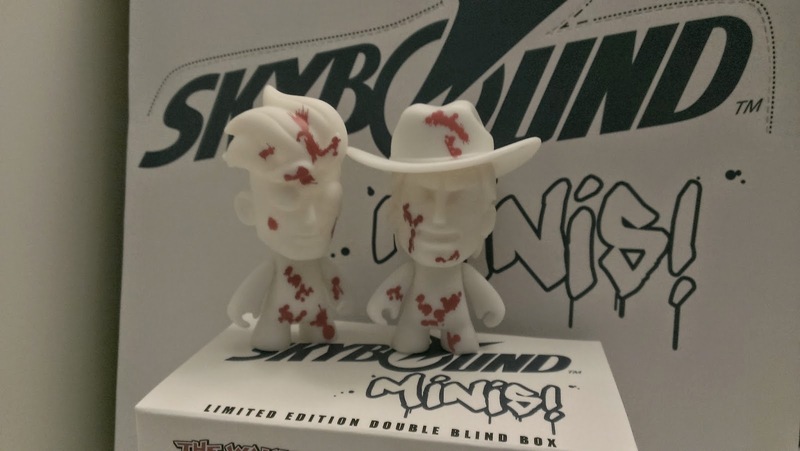 We got our hands on three blind boxes and felt we scored pretty big. 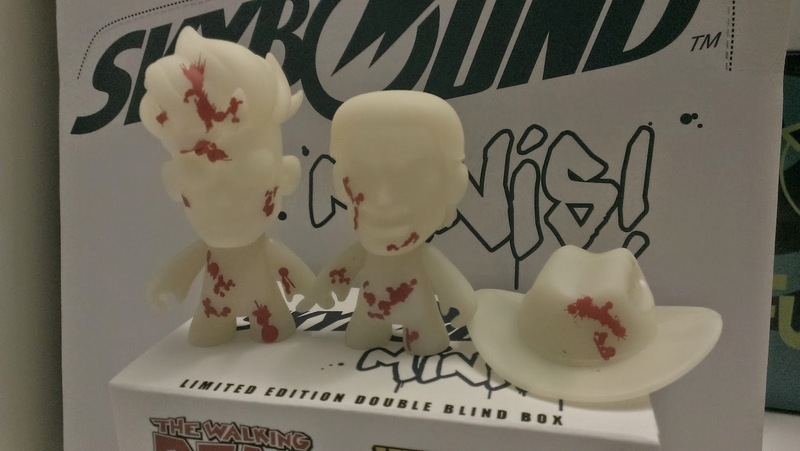 This set includes the Glow in the Dark Bloody versions of Invincible and Rick Grimes. 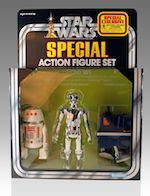 They are limited to only 500 pieces, so we feel we scored on a chase set. 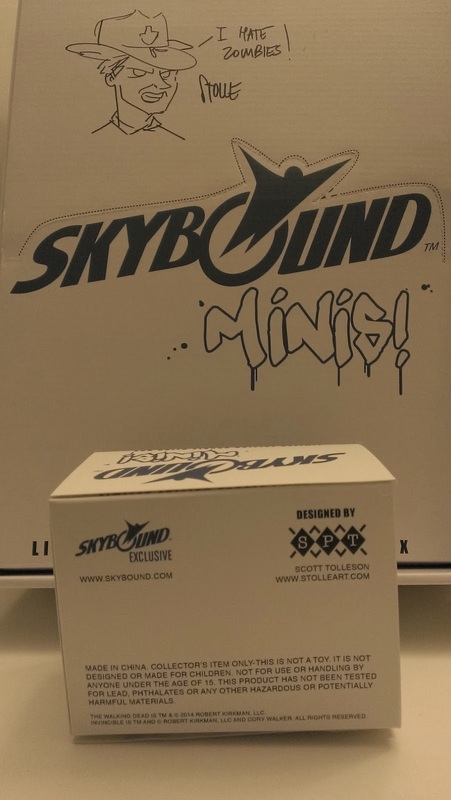 We would have to hit up Mr. Scott Tolleson at his shared booth to sign our Skybound Minis figures. Rick Grimes includes his Sheriff hat separately. 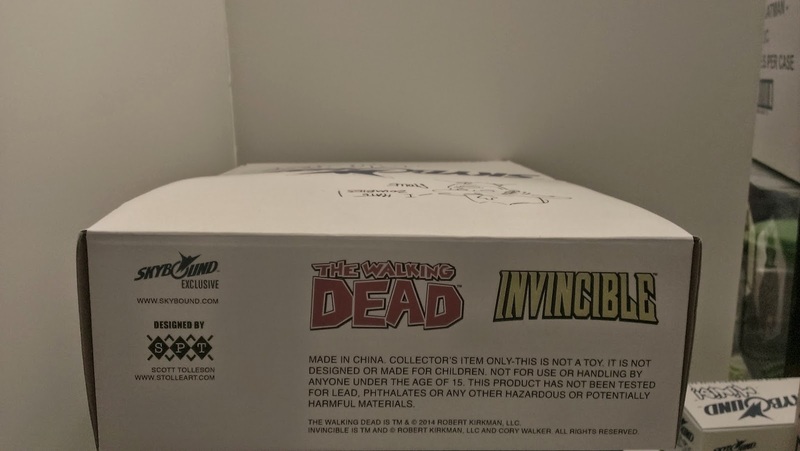 Another big score in our second box would be the Bloody version set with both Invincible and Rick Grimes. We definitely were pleased to get the other limited set of only 500. We thought our luck would continue and we would get the super rare Gold "Bloody" set or Gold regular set, but no luck. With a run of only 50 sets, we knew it would be very difficult. We were happy with our figures though. 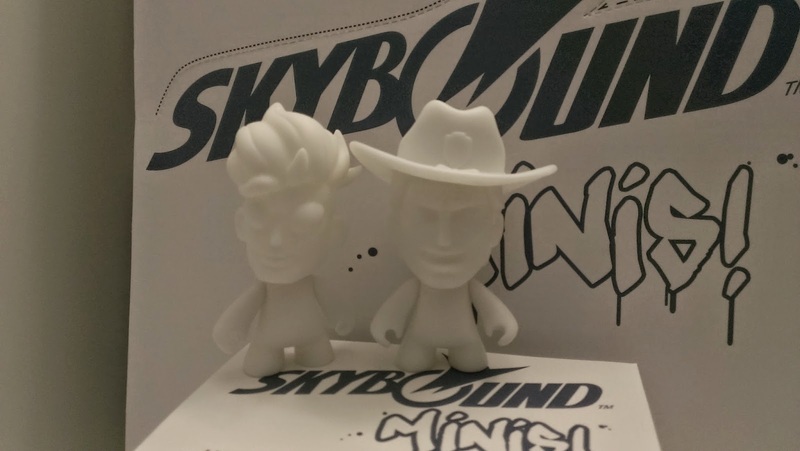 I am definitely liking the beginning of the Skybound Minis figures. 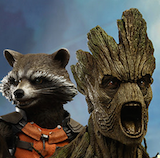 Scott Tolleson definitely did a great job in the design and sculpt of the figures. 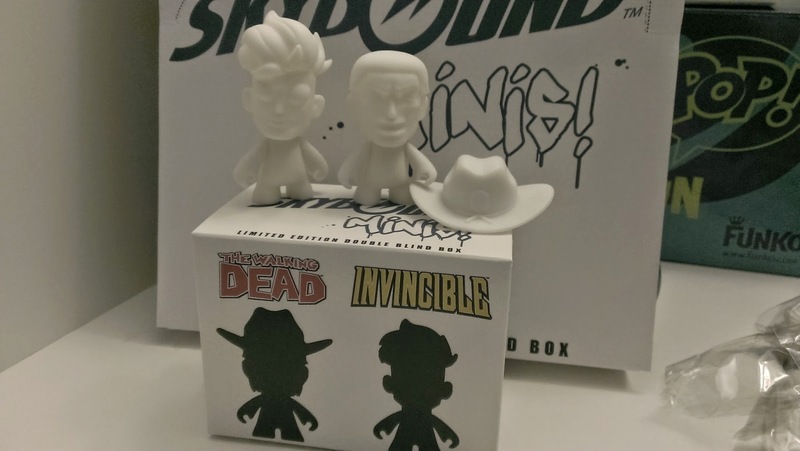 As far as we know, SDCC 2014 will be the only way to get the blank figures for both Invincible and Rick Grimes. 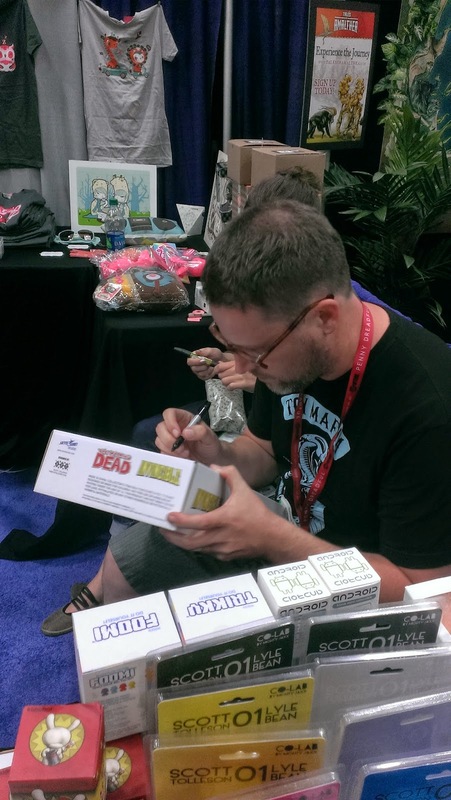 Scott Tolleson working on our sketch he did on our Skybound Minis box. 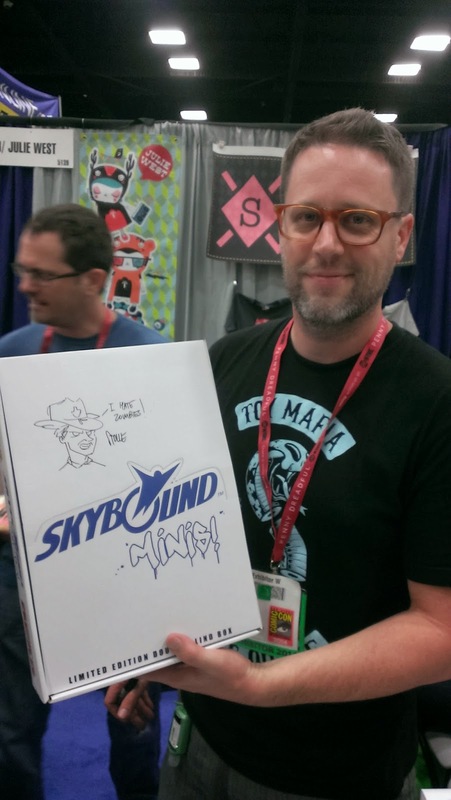 Mr. Scott Tolleson with our newly acquired sketch he did on the Skybound Minis box. 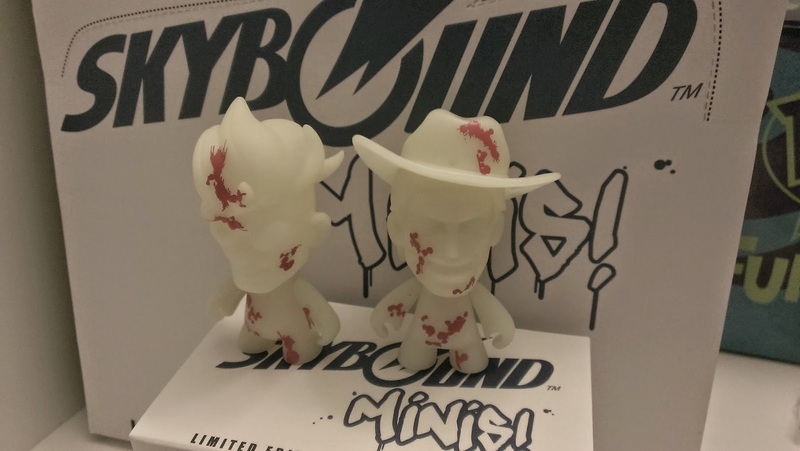 We took a moment to chat with Scott about the Skybound Minis and he gave us some great information. He mentioned that the Skybound Minis will be released sometime in 2015. 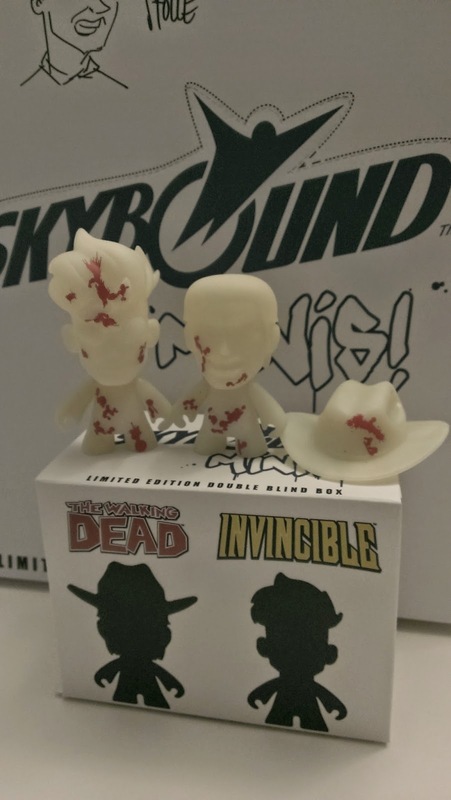 The figures of course will continue the blind box action and feature different characters in the Skybound universe that will include The Walking Dead and Invincible and hopefully other characters from other Skybound Comics. He did mention the figures will be released fully colored with chase variations. 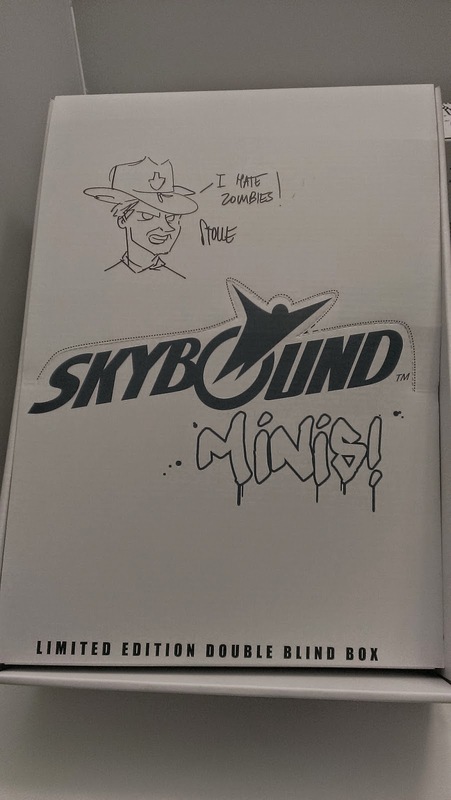 We want to thank Scott Tolleson for the sketch and signing our Skybound Minis and for the great information on the future of the line. We are definitely looking forward to seeing what will be coming!